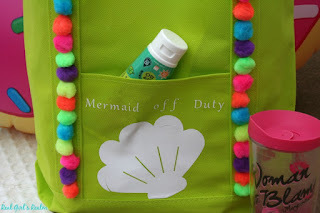 I recently bought a bag of pom poms to use on my beach tote bag and had some leftover. With pom pom jewelry being so on trend right now, I decided I could easily make my own earrings. Let's get started and make a pair of Pom Pom Earrings! I had a kit of jewelry findings I had purchased for other projects and it had straight pieces with a loop on one end in it. 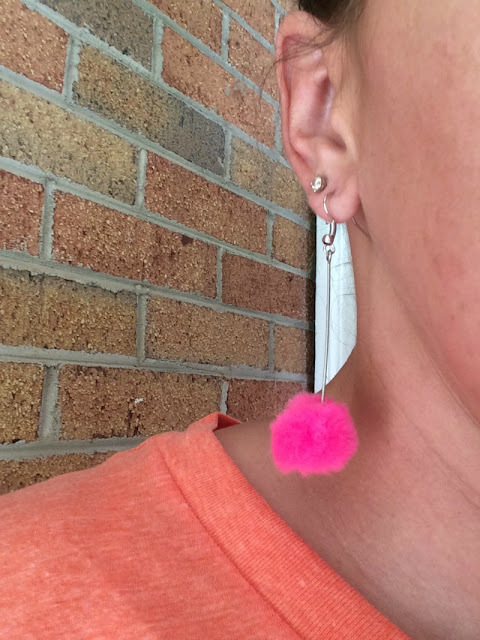 I am not sure what they are for, but I thought it would be perfect for a simple pom pom earring. 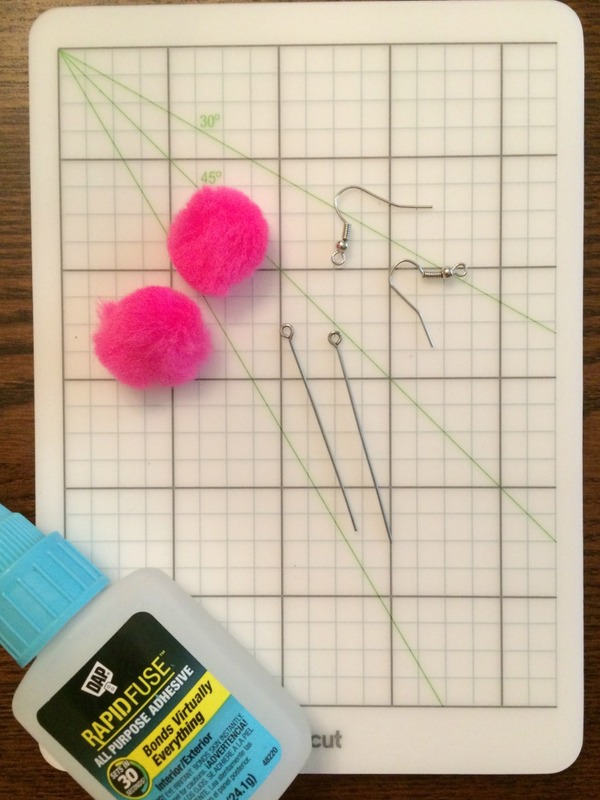 Step 2: Put a dab of super glue on the straight piece and poke it through the pom pom. 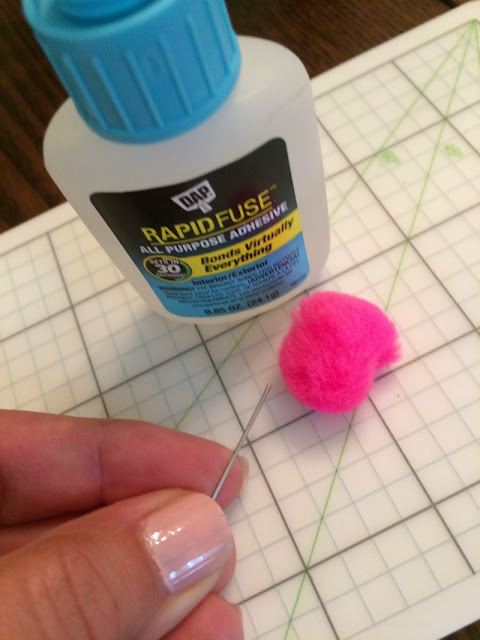 I held the pom pom for a few seconds to let the glue set up. Step 3: Wear them out and tell all your friends you made them! 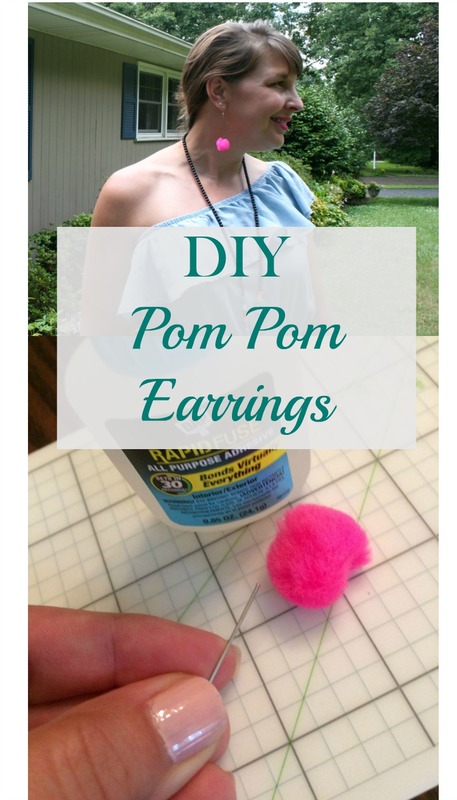 Check out this quick video I made to show you how quick you can make these pom pom earrings! Can't get enough of pom poms? Head over and check out my Pom Pom Beach tote! Super cute and really easy to do! Nice job! I cannot believe how easy they are to make! Love them! I know! I need to make them in every color!